Chocolate covered pretzels are one of my favorite indulgences. It is just something about that salty and sweet combination that puts a smile on my face. During the holidays I try to make little treats to share with loved ones and to have on hand if I have forgotten to grab a gift. You know there is always that time when someone hands you a gift and you were not expecting it and you feel terrible that there is nothing to give in return. This has happened to me several times when I was working in an office setting. Having a little something just in case saves a little embarrassment when that happens. There are so many things you can do to these to make them into a cute gift. 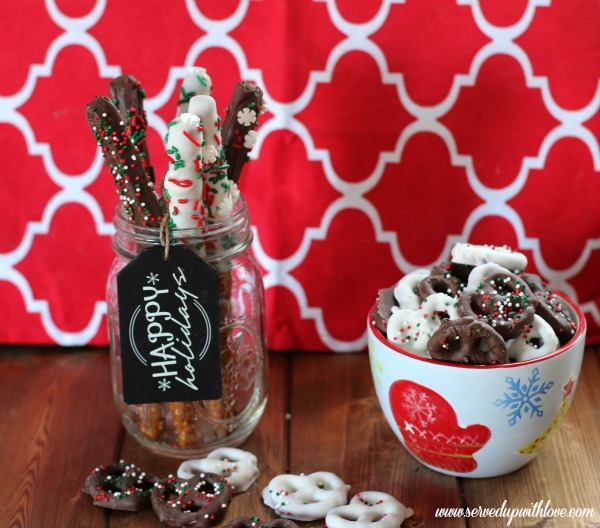 The pretzel rods are perfect to put into a clear cellophane bag and tie with a pretty Christmas ribbon. Cute tins and even those little take out containers are great too. 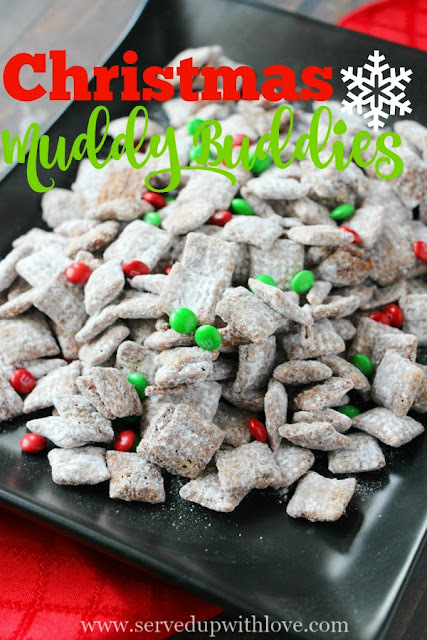 These are super easy to make and everyone loves them. 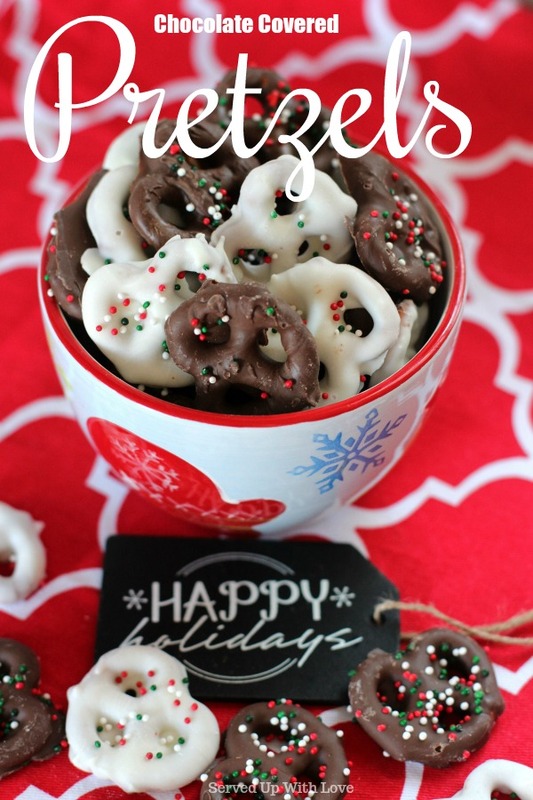 I personally prefer the white chocolate covered pretzels. They just bring a little something extra to the table. But the chocolate ones make me just as happy! The perfect mix of salty and sweet come together to make one indulgent treat. 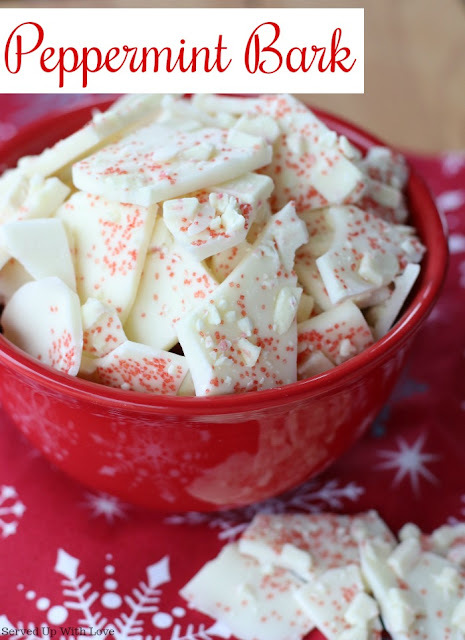 Melt the almond bark in a heat proof container in the microwave. Please follow manufacturer's instructions on the package for melting. I used glass measuring cups to melt in and placed them side by side in the microwave. Once melted, dip the pretzels into the melted almond bark. Drip off excess before adding sprinkles. 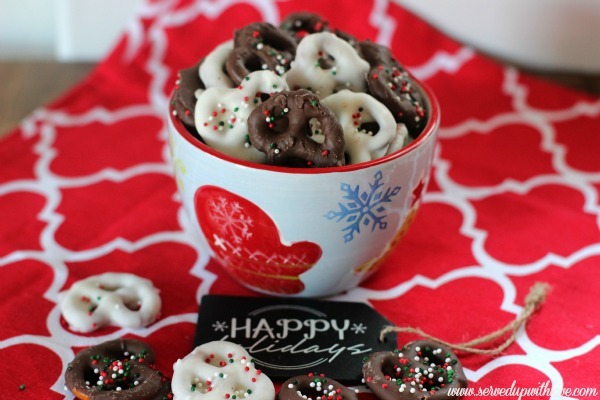 I held the pretzel rods over a paper plate to catch the runaway sprinkles, Place upright in a coffee cup until hardened. 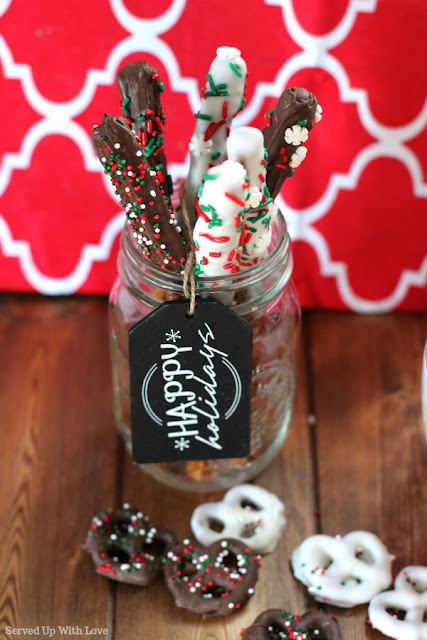 Use crumpled paper, paper towels, or anything sturdy to hold the pretzel rods away from each other while hardening. You can lay them on wax paper but they will have a flat surface. I use the excess sprinkles on the last of them so they didn't get wasted. For the pretzel twists, using a fork, dunk the pretzels and let the almond bark drain through the fork and then place on a waxed paper lined baking sheet. Make sure to add sprinkles before it hardens. Bigger sprinkles will be heavy on the melted almond bark. May need to let it set just a bit before adding. The chocolate almond bark is a little more "runny" when melted and you may need to let it set a little before using sprinkles. Almond bark will separate if there is any water present. Make sure all containers are free of any moisture.